Goa, the state that was once Portugal’s colonial toehold in India, has evolved through several distinct iterations. 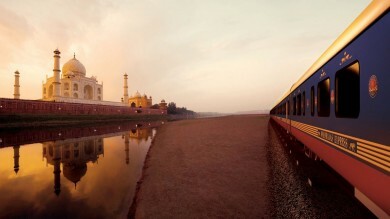 First, hippies drifting around India in the 60s were seduced by the state’s laid-back vibe and pristine beaches. Then, in the 80s and 90s, they were superseded by ravers who came to party; the state even gave its name to their particular genre of dance music – Goa trance. In more recent times, Goa has tried to reinvent itself, with many places now discouraging low-budget backpackers in favour of a new, higher-spending clientele. 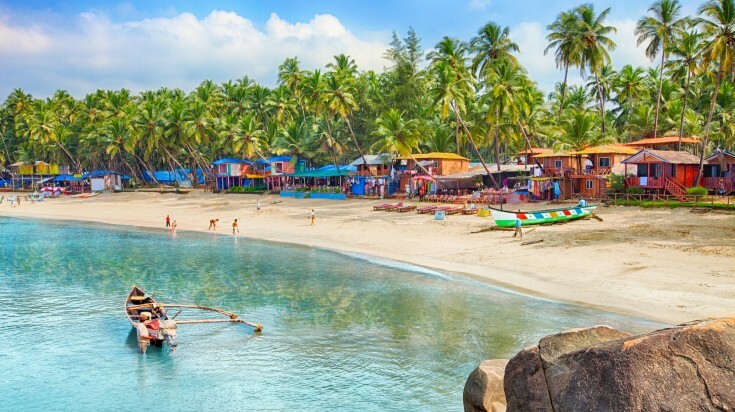 The hippies, the ravers and the package tourists with their families can all still be found, and what draws them is the same as it has always been – Goa’s gorgeous coastline of sandy tropical beaches that stretch dreamily up and down the shores of the Arabian sea. Here are ten of the best spots. 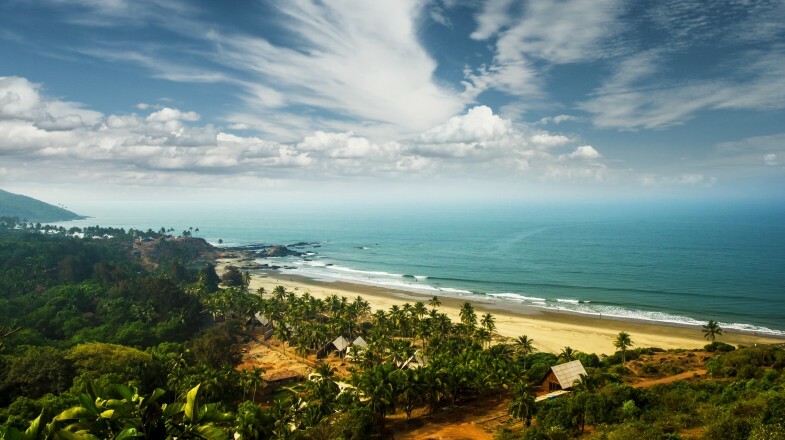 Located in the far north of the state, Arambol is widely regarded as one of the most beautiful as well as one of the most unspoiled of Goa’s beaches. Largely thanks to the local population, it has resisted the large-scale developments that have transformed many other popular beaches, making it a popular choice among long-term alternative travelers. Other than the beach itself, attractions include a freshwater lake right next to the sea and an impressive banyan tree at the end of a short trail through the jungle. Accommodation is geared to budget travelers, and there is an impressive range of eating options. Anjuna is one of the original Goan party towns, having been discovered by the first hippies to arrive. It then emerged as the centre of the psy-trance scene and continues to live off that reputation to this day. Although the beach is far from the most attractive in the state, Anjuna is nevertheless worth visiting for the laid-back atmosphere and frequent parties. The Wednesday flea market is also a Goan institution and is the place to pick up everything from handicrafts to Day-Glo clothing and accessories for the raves. 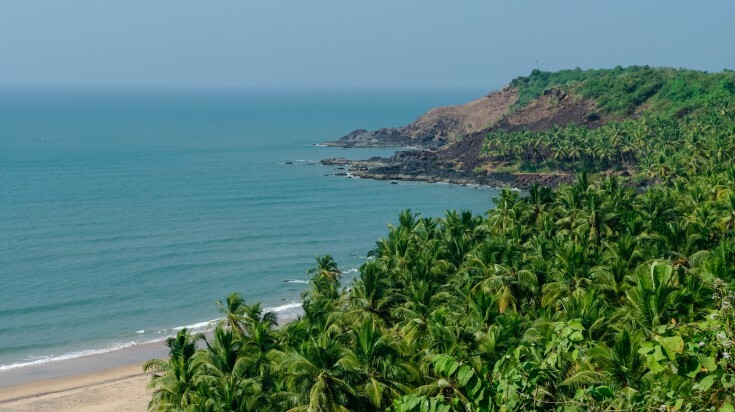 In the north of Goa, situated about halfway between Arambol and the better-known Morjim, lies Ashvem, another small Goan settlement that continues to resist the creep of mass tourism. The sandy beach is usually practically deserted, and the sea is safe for swimming except around the full moon. This is not the place if you are looking for advanced tourist facilities or lively nightlife, but if you are in search of peace and quiet, Aswem is the place to go. 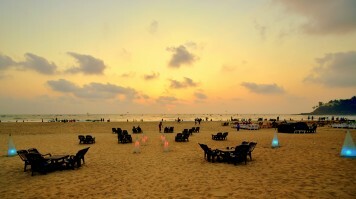 Baga’s long sandy beach has made this one of the most popular destinations in Goa. During peak season, it is one of the busiest beaches along the coast, boasting a large number of restaurants and bars, a lively night bazaar and a full range of water sports. Baga is also one of the most famous spots in Goa for nightlife and attracts many visitors from elsewhere in India as well as from further afield, largely thanks to the infamous Tito’s Bar. The hustle and bustle may be too much for those looking to unwind, but Baga is a good choice for anyone in search of somewhere with plenty of action. 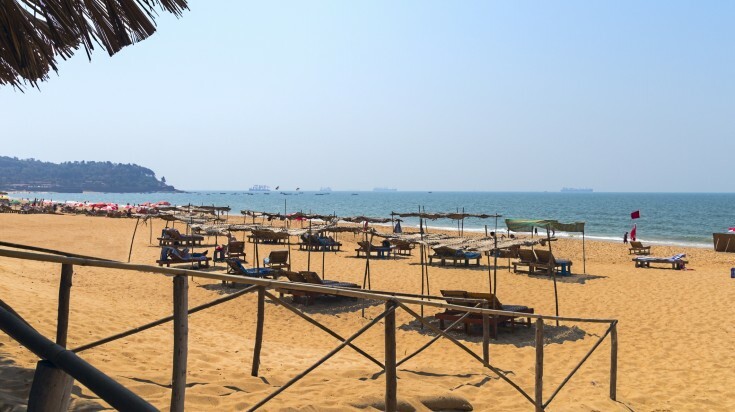 On the same 30km stretch of beaches that includes Baga, and just south of the worst excesses of tourist development at Calangute, Candolim is a much more sedate destination that appeals to a slightly older and more refined crowd. While there is not much in the way of authentic Goan culture to be found, there are some appealing up-market places to stay, and the beach bars and restaurants are a touch classier than in some of the more backpacker-oriented resorts elsewhere along the coast. 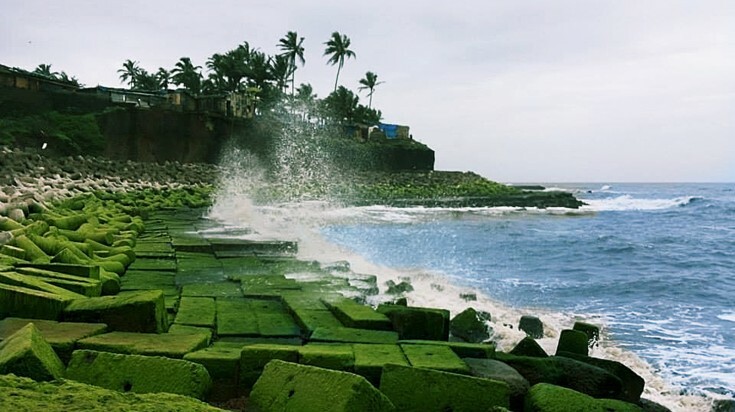 Miramar beach is located only a short journey from the Goan state capital of Panjim, where the Mondovi river meets the Arabian Sea, making it easily accessible and a popular choice with locals and foreign tourists alike. 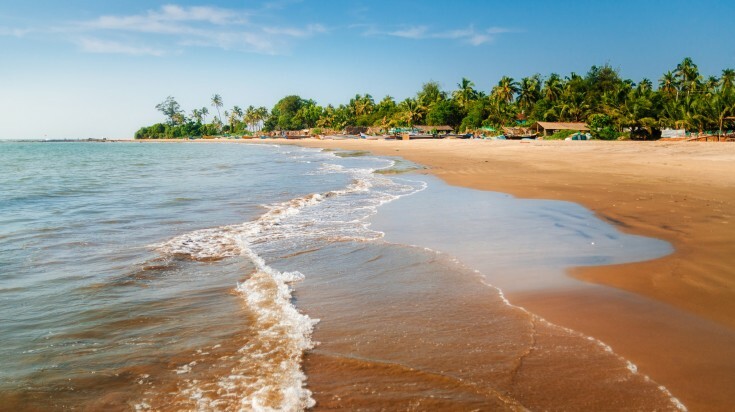 The picturesque soft sandy beach is ideal for early morning or sunset walks, and there are a few decent eating options where you can sample local Goan cuisine. This is not a location known for its parties, so for a big night out, you will need to head elsewhere. 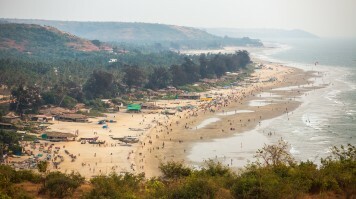 Morjim beach has a reputation as being popular with Russian tourists — so much so that it has earned the nickname ‘Little Russia’. This beach is a great place to come if you are not interested in the all-night parties or rowdy beach bars found in some of the more developed parts of the Goan coast, especially if you visit out of season. It is also famous as one of the last sites in Goa that is visited by the endangered olive ridley turtles, which arrive there to nest and lay eggs. 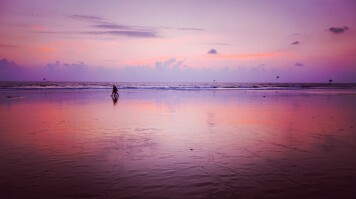 Palolem is renowned as being one of Goa’s most picture-perfect beaches. Located in the southern part of Goa and fringed by an arc of coconut trees, this paradisiac beach has unsurprisingly not gone unnoticed by the sun-and-sand-seeking hordes and is much less tranquil and deserted than once it was. However, a beach this sublime is still worth making an effort to reach, even if you have to share it with a few more other travelers than you’d like. 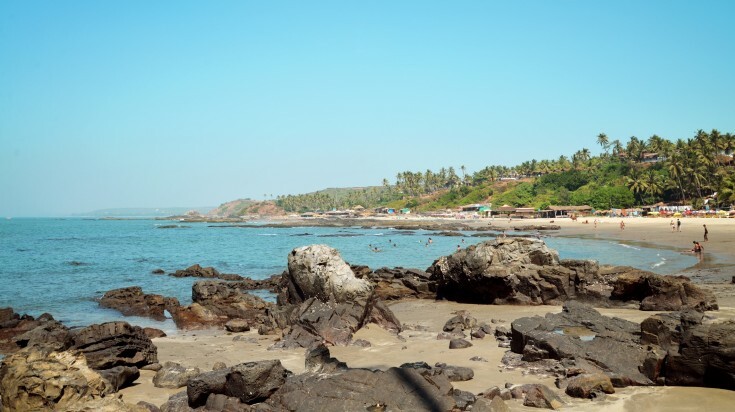 Located in the south of Goa, not far from Palolem, Agonda is one of the state’s last undeveloped beaches, largely thanks to the efforts of locals who have refused to allow the village to be transformed into a major tourist resort. For those who have had their fill of the commercialism and crowded beaches found elsewhere along the coast, Agonda is the perfect antidote. The beach itself is one of the most attractive in Goa, and Agonda is the ideal destination to disconnect and chill out — especially since mobile networks here are patchy at best. In some ways, Vagator can be seen as a twin to Anjuna. 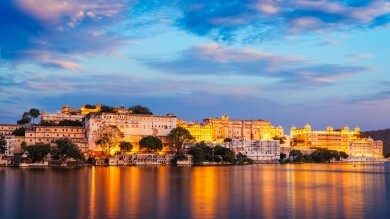 Although it is a little more laid-back and less intense than Anjuna, it still attracts a similar crowd of party-goers in search of psy-trance and the hippie lifestyle. The beach is actually divided into two — ‘Big Vagator’ and ‘Little Vagator’ and there are plenty of places providing liquid refreshment to the sound of pulsating electronic music. The sunset views are particularly stunning. 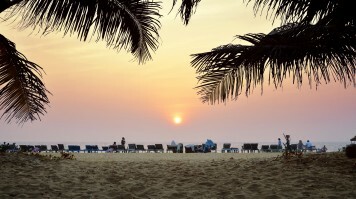 Goa is blessed with a large number of idyllic coconut tree-lined beaches, but the character of each varies considerably. The key is to choose the kind of atmosphere you are looking for and then to pick a beach that matches. If you find the right beach, like many before, you may find yourself staying much longer than you had first intended.